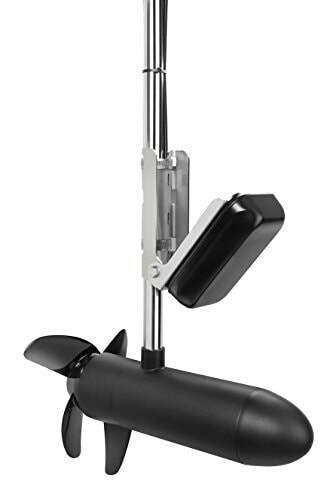 Includes transducer trolling motor mounting kitGarmin is the first to bring Panoptix sonar imaging to your boat. Panoptix all-seeing sonar is unlike anything you’ve ever seen on the water. It gives you the ability to see all around your boat in real time. It’s Not Just Sonar; It’s Panoptix SonarLiveVü Forward delivers a whole new perspective to fishing. Your current sonar only shows images of fish your transducer has passed over. To capture those images, your boat must be moving. Everything that shows up on your screen is technically history; it’s all in the past. Fishing Comes Alive with PanoptixWith LiveVü Forward, your boat can be moving or stationary. Wherever your trolling motor is pointed, you will see live images of what is happening under the water. Watch your lure as it sinks and see its depth and movement as you retrieve it. See it move in relation to structure in the water. See fish swimming and reacting to your bait. If they attack, you’ll see and feel the hit! Once on the hook, watch the fight on your screen as it happens. With Panoptix LiveVü Forward, you can see it all come to life up to 100 feet away. All other sonar is just history.